Metformin is the endorsed first-line glucose-lowering drug for treating patients with type 2 diabetes but despite more than 50 years of use, no consensus has been reached on its mechanisms of action. In this study, we investigated the glucose-lowering effects of metformin in individuals with type 2 diabetes and non-diabetic individuals. 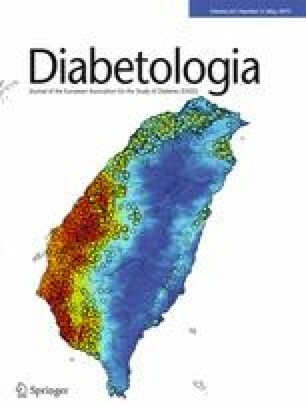 We performed a randomised, placebo-controlled trial in 24 individuals with recent-onset type 2 diabetes (diabetes duration 50  months) who had good glycaemic control (HbA1c 48 mmol/mmol [6.5%]). The studies were conducted at Aarhus University Hospital between 2013 and 2016. Participants were randomised to receive either metformin (2000 mg/day, n = 12, MET group) or placebo (n = 12, PLA group) for 90 days, using block randomisation set up by an unblinded pharmacist. Two participants withdrew from the study prior to completion and were replaced with two new participants receiving the same treatment. In addition, we recruited a group of non-diabetic individuals with similar age and BMI (n = 12, CONT group), who were all treated with 2000 mg metformin daily. Before and after treatment all individuals underwent studies of whole-body glucose metabolism by non-steady-state [3-3H]glucose kinetics, hyperinsulinaemic–euglycaemic clamping, indirect calorimetry, metabolomics, dual x-ray absorptiometry and muscle biopsies. The primary study endpoint was the effect of metformin treatment on lipid kinetics as well as glucose rate of disappearance (Rd) and endogenous glucose production (EGP). One participant from the CONT group withdrew due to intolerable gastrointestinal side-effects and was excluded from analysis. As expected, metformin treatment lowered fasting plasma glucose (FPG) in the MET group (~1.5 mmol/l, p < 0.01), whereas no effect was observed in the PLA and CONT groups. Body weight and composition did not change in any of the groups. In both of the metformin-treated groups (MET and CONT), basal glucose Rd, EGP and glucagon levels increased by ~30% (p < 0.05) whereas this was not the case in the PLA group. Ninety days of metformin treatment resulted in similar increases in EGP and glucose Rd in individuals with recent-onset type 2 diabetes and in non-diabetic control individuals. These results challenge the existing paradigm that metformin primarily acts in the liver by inhibiting EGP, at least in individuals with type 2 diabetes of short duration and who have discretely affected glycaemic status. Whether metformin increases basal glucose Rd by facilitating glucose uptake in other tissues such as the intestines remains to be further clarified. This study was supported by grants from The Danish Council for Independent Research | Medical Sciences, Aase Danielsen Fund, the Novo Nordisk Foundation, the Danish Diabetes Association and the Danish Diabetes Academy supported by the Novo Nordisk Foundation. Søren Nielsen and Niels Jessen contributed equally to this work. The online version of this article ( https://doi.org/10.1007/s00125-019-4872-7) contains peer-reviewed but unedited supplementary material, which is available to authorised users. The authors would like to thank L. Kvist and S. Sørensen (Medical Research Laboratories, Aarhus University Hospital) for excellent technical help during the studies. All authors conceptualised the study, wrote the protocol, researched the data and contributed to discussion. LCG wrote the manuscript and ES, NLC, KB, NJ and SN reviewed and edited the manuscript. LCG, NJ and SN are the guarantors of this work and, as such, had full access to all the data in the study and take responsibility for the integrity of the data and the accuracy of the data analysis. All authors approved the final version of the manuscript. The study was supported by grants from The Danish Council for Independent Research | Medical Sciences, Aase Danielsen Fund, the Novo Nordisk Foundation, the Danish Diabetes Association and the Danish Diabetes Academy supported by the Novo Nordisk Foundation.